The Seminary provides a residential community of worship and learning where a sense of calling is tested and defined, where Scripture and the Christian tradition are appropriated critically, where faith and intellect mature and life-long friendships begin, and where habits of discipleship are so nourished that members of the community may learn to proclaim with conviction, courage, wisdom, and love the good news that Jesus Christ is Lord. Princeton Seminary is a Presbyterian school in the Reformed tradition, an identity we embrace proudly and believe to be an essential source of wisdom and strength for our mission. 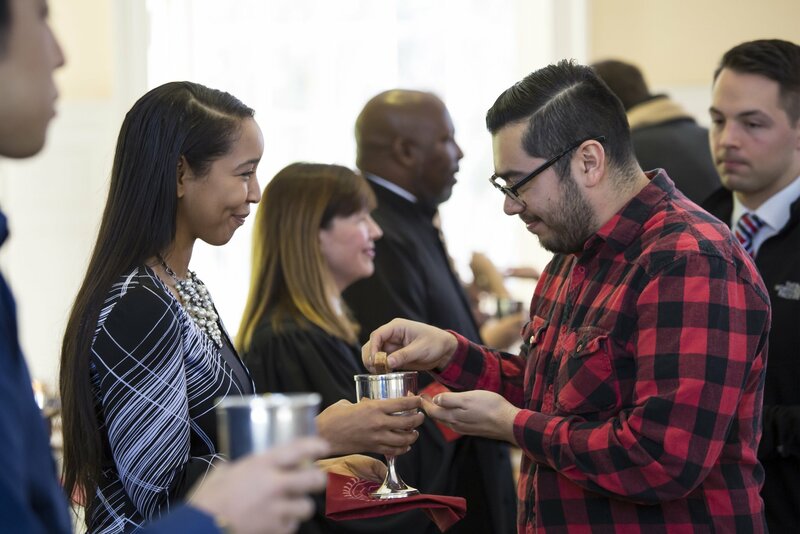 At the same time, Princeton Seminary is an ecumenical, international, and intercultural community that holds Jesus Christ as the center of our life together. True to its Reformed heritage, Princeton Seminary promotes academic excellence as a faithful expression of loving God. This community of learning nurtures intellectual curiosity and fosters theological research. A vital part of the learning experience at Princeton Seminary is our residential community. But learning isn’t only confined to our Princeton campus. The world itself is our classroom, and students extend their learning in many locations throughout the globe with field education experiences, travel courses, and academic exchange programs. The essence of the Reformed tradition is an impulse towards innovation: “the church once reformed always being reformed in accordance with the word of God.” The Seminary is strengthening its core commitment to preparing pastors for parish ministry while providing room in the curriculum for new forms of Christian ministry and service to which our students feel called.